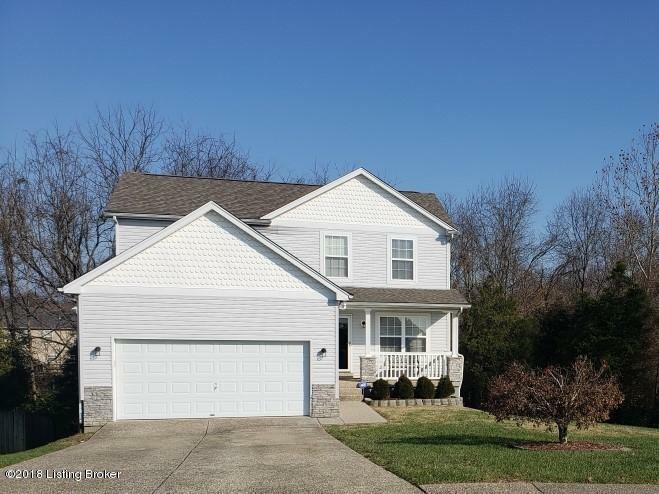 Spacious two story home with so much to offer its next homeowner. Entertaining is delightful in this home with the large living room that adjoins a huge eat-in kitchen. Enter the living room to beautiful laminate flooring, neutral paint and double windows to view the woods. The kitchen boasts an abundance of cabinetry with a large island for food preparation, stainless steel appliances and pantry. The second floor features a master suite with large walk-in closet, plush carpet, garden tub and double bowl sink. The two spare bedrooms have double closets and neutral paint. Escape to the family room in the basement to watch your favorite sport or spend quiet time. Adjoining the family room is a full bath and a large rec room. Enjoy the front porch or walk to the creek. Call today!